Even though fashion week came and went in a New York minute, the tech-savvy fashion crowd was sure to document every moment worth noting on social media. From street style to the runway and after parties, everyone from editors, models and bloggers were dressed to kill. No one – especially the fashion crowd – is immune to the epic cuteness that is North West. Snapped by Kim Kardashian West. Kendall Jenner continued to dominate on the catwalk, most notably at Givenchy. Supermodel Joan Smalls was spotted on the runways and after parties of every major designer. 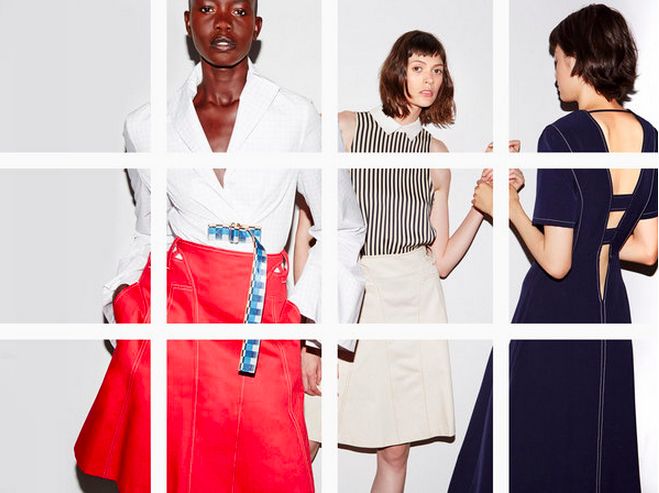 Some designers, like Misha Nonoo, took to Instagram to debut their latest collection, instead of a traditional runway show. Chiara Ferragni of The Blonde Salad snapped en route between shows during NYFW. Givenchy’s delicate face masks made the fashion house’s first New York show that much more memorable. By @luigimurenu.